Does the aroma of a well-brewed ginger tea make you go weak in the knees? Are you opting for an all things organic lifestyle? 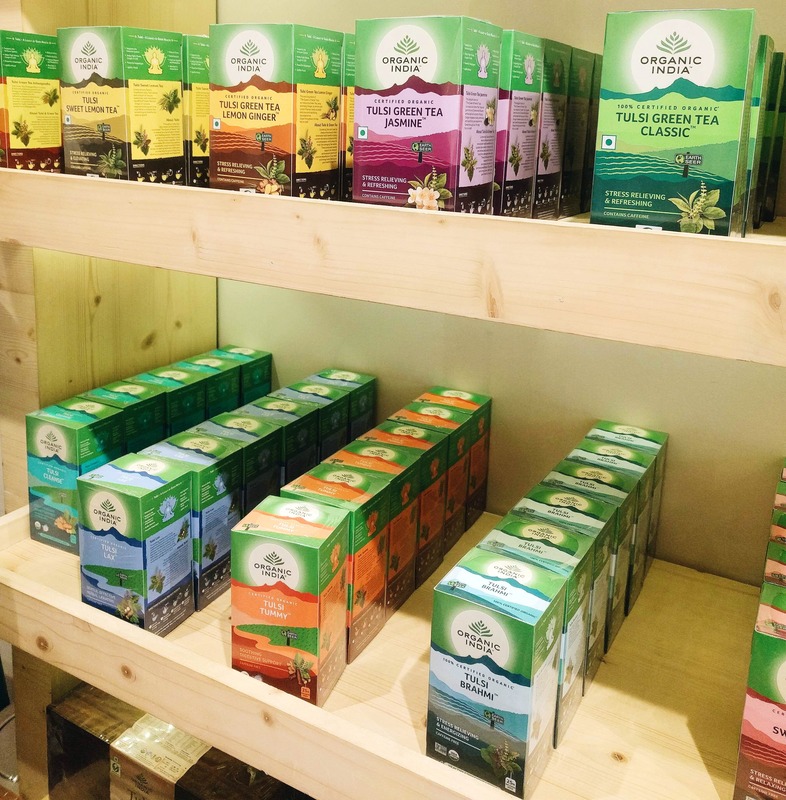 Organic India, which is a popular wellness brand has opened its first store in Banjara Hills, and we checked it out. What I really liked about the store is how well it is stacked with several tea variants that you are offered to sample on as soon as you step in. Sip on your Tulsi tea as you peruse everything this quaint store offers. Switching to an organic or healthy lifestyle? Check out the spices or pasta, quinoa along with honey, ghee, and pulses. With more than 10 varieties of tea that include caffeine-free, you can, in fact, pick a tea to solve an ailment. For instance, relaxation and calming or stress relief. They have gift boxes in two sizes that come with different flavours of tea if you're interested in gifting that chai lover friend of yours. The store has plenty of herbal supplements that intend to fix acne or help you improve immunity too. The store peeps are super helpful, so don't be shy and chat away. The store has a massive online presence too.